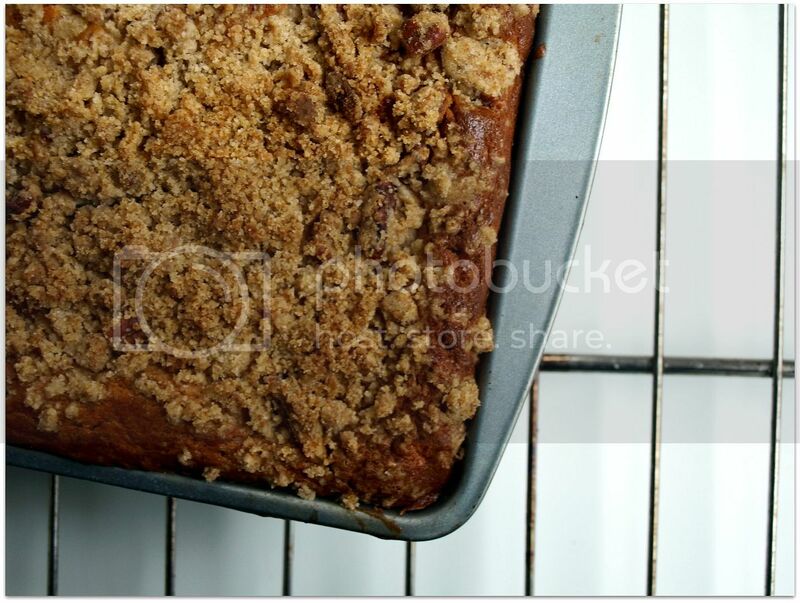 One of my first food memories is about coffee cake. I remember standing in the kitchen and sitting on the cutting board was this slab shaped in a circle from a local bakery. It looked horrible to me like something the cat coughed up on the cutting board. It was actually a coffee cake that had a jam and cream cheese filling but how was I to know. It looked like puke. I remember saying "What's that?" pointing to the cutting board. My dad said, "Coffee Cake." and all my stubborn 5 year old self said, "I don't like it!" I'm sure I had my hands on my hips. I was fierce at that move. My dad said, "How do you know? Have you ever had it?" I remember saying no. 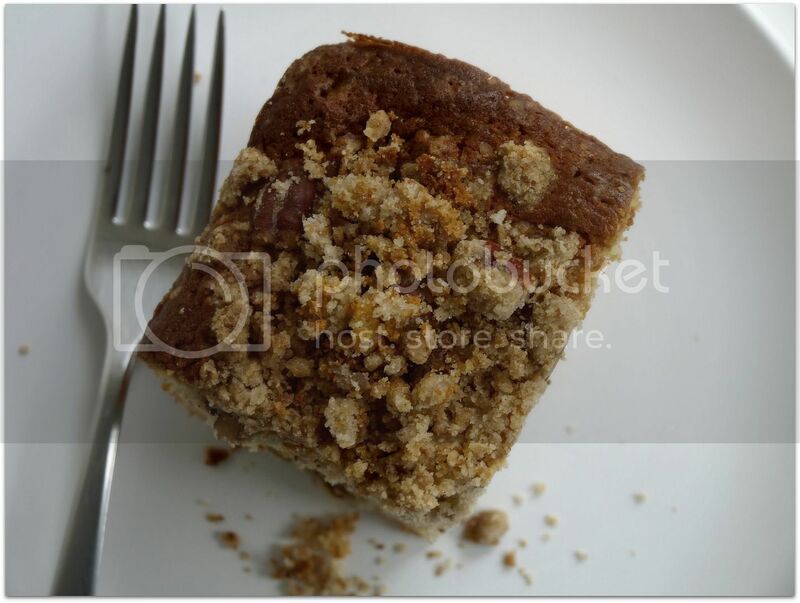 My reasoning in my brain was of course I haven't had that, it is gross looking and it was called a coffee cake. Coffee... that stuff that smells good but so bitter and nasty tasting. Only adults drink that stuff and you always have wondered why grown ups make such a fuss over coffee. Who wants to eat something with the word coffee in it? G.R.O.S.S. "If you haven't every had any, how do you know if you don't like it?" and with that my dad handed me a piece. I remembered eating that piece and another one right after, that coffee cake was so good and sweet and didn't taste like coffee at all. 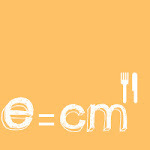 That moment made my thought process change about food. Some foods could look bad, have horrible names, and maybe even look like the cat coughed up a furball but it could be delicious. Yesterday when my nephew and niece asked what I had made. I told them coffee cake and could see their little eyes go ewwwww. I told them it wasn't made out of coffee and then their eyes lit up and asked if they could have a piece. I could tell that they loved it too. I am sick of almost paying 6 dollars for one cup of creme fraiche so I have decided to make my own . Don't give your money to the man especially when it's super easy and cheap to make. Just because it has a fancy French name doesn't mean it has to be expensive. 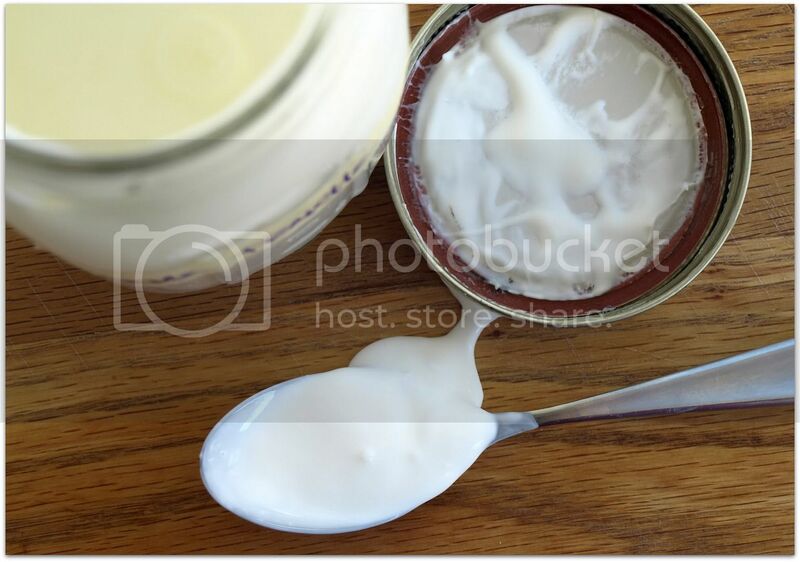 Combine the cream and buttermilk in a clean jar or container with a tight fitting lid. Partially cover the jar and let sit at room temperature until mixture has thickened to approximately to the consistency of yogurt. Stir gently a few times over the course of this process. It will clump up at first then thicken. That will take between 12-48 hours. When thick give a good but gentle stir and cover and refrigerate for at least a day. It will give the creme fraiche a better texture. Then when you are about to run out save a bit to reculture the next batch use the creme fraiche you have instead of buttermilk. Position rack in center of oven and heat oven to 350 degrees (325 if using dark, nonstick pan). Generously butter 8X8 square pan. In a medium saucepan, heat butter over medium heat until almost melted. Remove from heat and cool to tepid. In a medium bowl, combine flour, pecans, granulated sugar and light brown sugar, cinnamon, baking powder, and salt and stir with a fork. Add the flour mixture to the butter and stir until evenly moistened and crumbly. In a food processor, pulse the pecans, sugars, cinnamon, and cocoa 4-6 times to combine and chop the pecans. 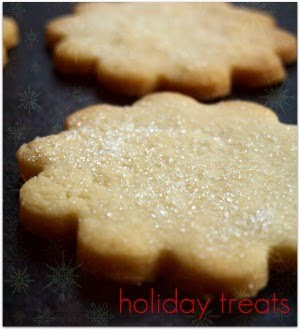 In a medium bowl, whisk flour, baking powder, baking soda, and salt. In the bowl of a stand mixer fitted with paddle attachment, beat the butter on medium speed until smooth and creamy, 1-2 minutes. Add the sugar slowly, beating until combined. Scrape the bowl. Beat in the eggs, one at a time, blending each one completely before adding the next. Scrape the bowl down and add the vanilla. On low speed, alternate adding the dry ingredients and the sour cream, adding the flour in four parts and the sour cream in three, beginning and ending with the flour and scraping the bowl as needed. Spoon 2 generous cups of the batter into prepared pan. Smooth with the back of a soup spoon, spreading the batter to the side of the pan first and then to the center. Sprinkle about 1/2 cup of the filling evenly over the batter. Cover the fillinf with about 2 cups of the batter, dropping dollups around the pan and smoothing with the spoon to sides of the pan and then to the center. Don't lift the spoon while smoothing or you will disturb the filling. Sprinkle another 1/2 cup of filling over the batter and cover with 2 more cups of batter. Layer on the remaining filling and then the remaining batter for four layers of batter and three layers of filling. Insert a table knife 1" from the side of the pan straight into the batter going almost to the bottom. Run the knife around the pan two times, without lifting the knife blade, and spacing the circles about 1" apart. This distributes the filling but still keeps it clearly defined. Smooth the top of the batter with the back of the soup spoon. Take a handful of the streusel and squeeze firmly to form a large mass. Break up the mass into smaller clumps, distributing the streusel evenly over the batter. Repeat with the remaining streusel. Press the streusel lightly into the surface of the batter. Bake until the top of the cake is golden brown, the sides are beginning to pull away from the pan, and a wooden skewer inserted in to the center of the cake comes out clean, 70-75 minutes. Transfer to a wire rack and let cool for at least an hour before removing from pan. Tasting Notes: I want to warn you that this is messy. I have been wiping up crumbs for days. Other than that it's very moist, not too heavy or overly sweet. Something to enjoy with your coffee. You migh even want to lie to your kids and tell them it's made from coffee so you can have it all to yourself. Ok. 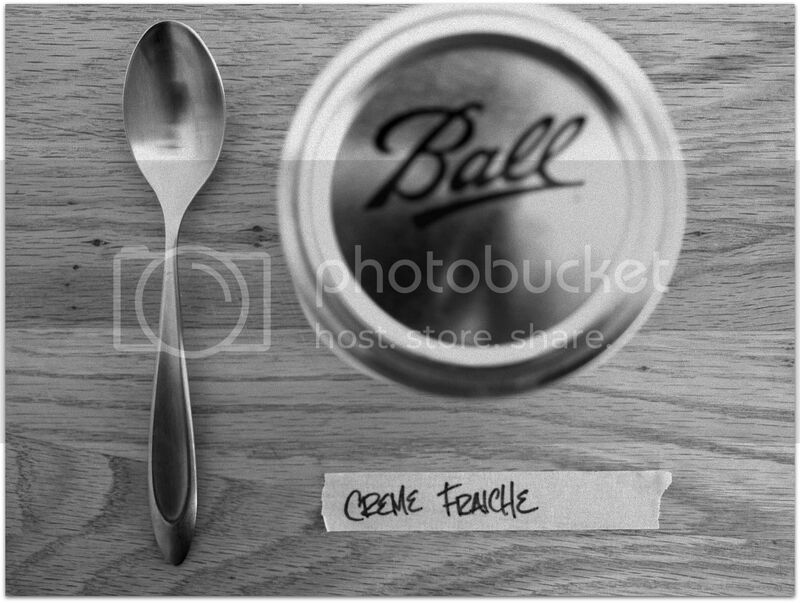 I want to do this creme fraiche making even though I live in terror of anything made or created in a jar because of The Botch. (I realize, logically, that this probable isn't a danger here but I hear "make it yourself" and "jar" and "culture" and my heart yells "THE BOTCH!" and hides under its bed. Do you PROMISE I will not somehow screw this up and end up poisoning everyone I know? If you say yes I will make this first thing tomorrow as I have some buttermilk and plan to have too much heavy cream. You will not get 'the botch from home cultured creme fraiche OR buttermilk. No way, no how. Well, hang on... there is one way- if you use raw, unpasteurized milk you stand a miniscule chance. Howevah, if you start with a super clean jar, lid and ring, and use pasteurized milk, and culture it no more than 48 hours at room temperature then it just can't happen ('the botch', that is...) You're adding a good bacterial culture to the milk or cream and it aggressively populates the contents of the jar. Sorry, wait, um... you were asking Krysta, right? I can't helps mahself. Krysta, you may now tell me to shove off. 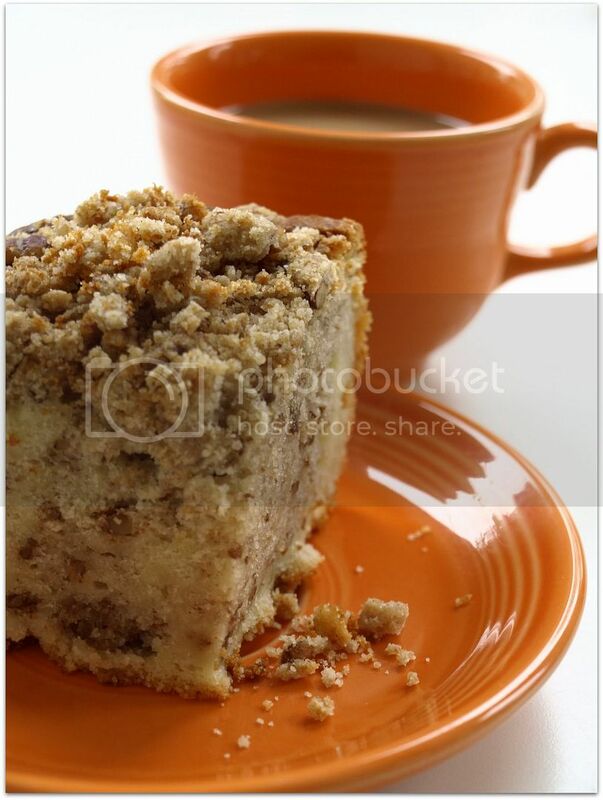 But first, I have a crush on your coffee cake. I'm making it tomorrow. Thanks for this recipe - I've been looking for a good coffee cake recipe and I planned a brunch just for an excuse to make one! Why a brunch? Because if its just me and the coffee cake at home, both of us are in big trouble. 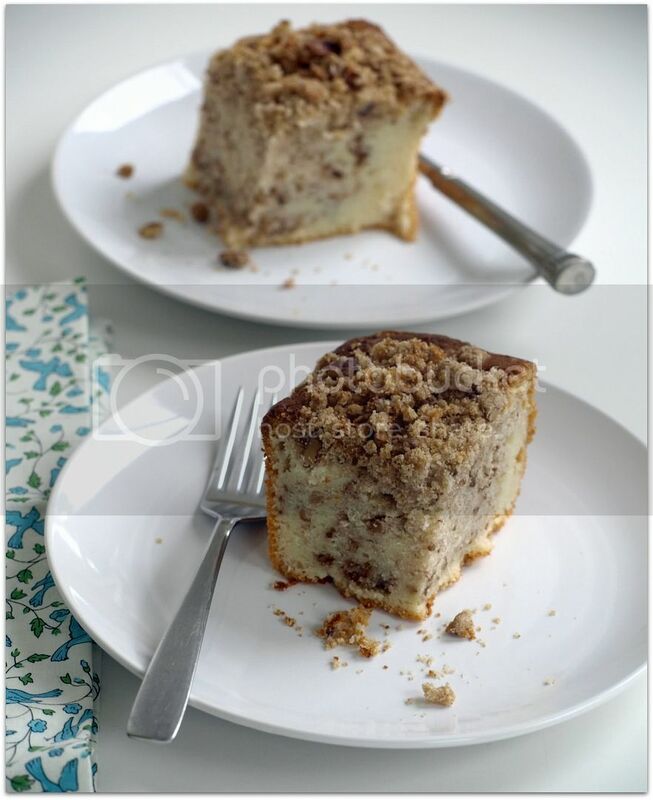 what better way to stick it to the man than with a luscious and luxurious coffee cake...even if you do end up with crumbs coming out your ears. this is gorgeous, krysta--i've missed you!